Safety Importance at Integrity, Inc. Integrity Inc. understands that employee safety is the most important consideration in the planning and operation of all company-wide activities. Safety is essential for employee welfare, morale, and employee relations. With this in mind, our management has established a comprehensive Safety Program within all departments and at all levels. Construction is one of the most dangerous businesses in the world. Integrity, Inc. feels no part of our job will be so important that we cannot take time to do it safely. Integrity, Inc. requires that each employee be trained in the use of appropriate personal protective equipment when engineering and administrative controls can not abate the potential for employee exposure to hazardous conditions. Each employee is required to follow established safety rules and safe work practices in all phases of his or her duties, and the management team is committed to providing the funding necessary for achievement of all approved safety goals. Integrity, Inc. is committed to following safe work practices as established by OSHA as well as those internal procedures developed by its clients. Safety at Integrity, Inc. is further enhanced with ISN® membership. ISN is a global leader in contractor and supplier management headquartered in Dallas with additional offices in Calgary, Sydney, London, Los Angeles and New York. ISN takes pride in leading efforts to improve the efficiency and effectiveness of contractor management systems and in serving as a forum for sharing industry best practices among members. 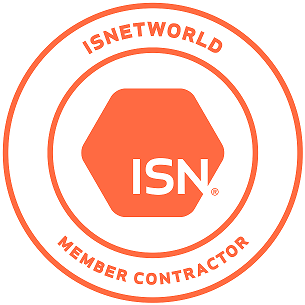 An ISNetworld subscription benefits both contractors and their clients by streamlining the qualification process. Maintaining safety, insurance, quality and regulatory information on contractors and suppliers can often be a strain on internal resources. ISN streamlines these processes, saving time and improving safety standards. Hiring Clients use ISNetworld to standardize contractor management across multiple sites and geographic regions, clearly communicate requirements and expectations, and exchange data with other internal systems. The result is lower incident rates and higher compliance numbers.